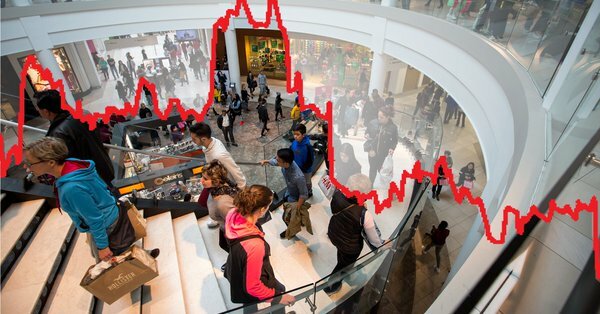 The news surrounding the retail property sector has been nothing short of dismal. The sector has been smothered in hopelessness for those who operate businesses at America’s shopping malls. The 800-pound gorilla is Amazon.com, which has led a transformational shift in retail buying to the internet that is inflicting a crushing blow to major brick and mortar retail chains… but not all of them. Within the carnage of throwing the baby out with the bathwater, the local neighborhood and community shopping mall operators have experienced little, if any, fall off in foot traffic and purchasing of goods and services. Let’s face it, everyone’s got to eat, get their hair cut, swing by the coffee shop, drop off the dry cleaning, get the kid some music or karate lessons, have a beer at the sports bar and go to stores that have an internet moat around their business models. Those retailers include Home Depot, Lowes, Walmart, Kroger, Whole Foods, Ulta Salon, Starbucks, Sephora, Panera Bread, Firestone Tire, Autozone, PetSmart, TJX, UPS Store, Walgreens, Hair Cuttery, Dunkin Donuts, Subway, liquor stores, specialty restaurants and gift shops. Probably 90% of suburbanites migrate to those establishments for immediate needs and services. But the outgoing tide of fund flows from anything and everything retail has taken its toll on all but a handful of retail-oriented assets. I view this wash-out as a prime opportunity for dividend investors to take a position in truly blue-chip stocks trading at steep discounts that I don’t believe will last very long once the smoke clears and the wheat is separated from the chaff. There just isn’t an internet or ecommerce solution for having to get a card and wrapping paper at the Hallmark store to package a gift for a party you’re attending in three hours, or stopping by Dunkin Donuts before heading to work. I could go on and on about the endless list of needs and services these neighborhood strip malls provide. They are by definition integral to our daily lives for the majority of Americans that do not live in cities. Some of these neighborhood shopping real estate investment trusts (REITs) are trading at levels not seen since the Great Recession of 2008-2009. These REITs represent what I consider a deep value proposition where one or two standout companies pay yields of 5-6% and make for outstanding entry points and terrific long-term investments. The SPDR U.S. Retail REIT Index is down by more than 25% in just the past six months to make it one of the worst sectors, if not the cellar dweller, in the stock market universe. With that view, every sector finds a bottom and bottoms can take months to form. But within this blown-out sector, there are a few gems that don’t deserve to be punished because of the woes of their big mall brethren. Herein lies the opportunity that I find in my radar to be legitimate and credible. Next week, I’ll be bringing what I believe is the best idea in this sub-sector of the REIT space to my Cash Machine subscribers. My weekly Cash Machine hotline goes out every Tuesday afternoon and this week’s update will include an investment-grade pick with a current dividend yield of 6% that is trading nearly 60% off of its 52-week high. I’m not alone in recognizing the opportunity. Institutional buying of this stock is soaring at its current depressed level, trading an average of 7 million shares per day during the past week. I invite those who want in on this trade to click here and see how high-yield income investing can provide generational opportunities of risk/reward, and I believe this is one of them.